Toomore Blog: What's in my bag? Traveler's Notebook, iPod Touch 6, EarPods, Lomo LC-A+, AirUltem glasses and kodama. What's in my bag? 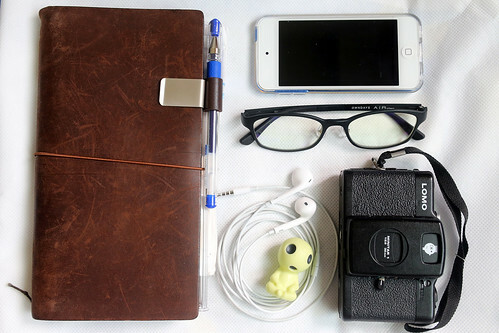 Traveler's Notebook, iPod Touch 6, EarPods, Lomo LC-A+, AirUltem glasses and kodama.